The multi-platinum, award-winning band Train (Pat Monahan, Jimmy Stafford, and Scott Underwood) is currently on tour in support of its 2012 platinum release, California 37. 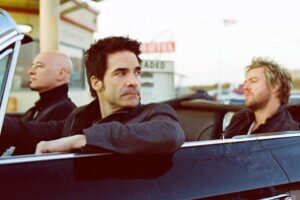 The album has yielded two hit singles thus far, “Drive By” and “50 Ways To Say Goodbye.” Train made its mark on music history with the GRAMMY Award-winning song “Drops of Jupiter (Tell Me)” and chart-topping singles like “Meet Virginia” and “Calling All Angels,” earning its third GRAMMY in 2011 for the worldwide number one smash “Hey, Soul Sister” from Save Me, San Francisco. 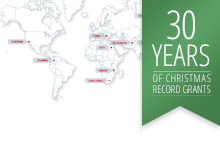 "Special Olympics and children-related causes in general are the causes in which we like to give support. Anything we can do to help is always cool with us. Children are where it’s at—if you invest in them, then you will have a better world for all of us in the future."